Fill in the form below to obtain the brochure. We will send you the document shortly. E-mail address * We'll never share your email with anyone else. 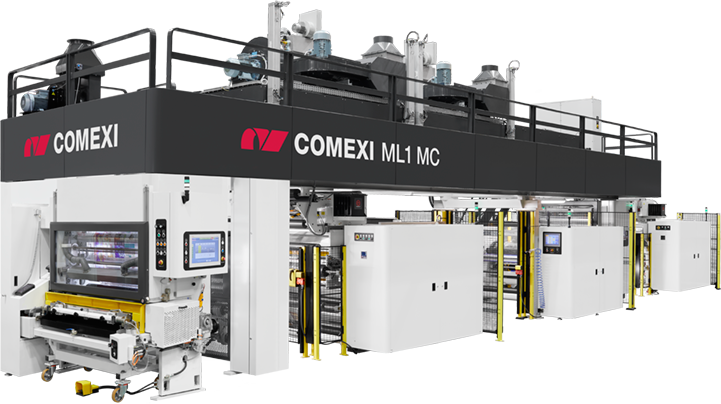 The new COMEXI ML1 MC is an ultra-productive laminator to fulfil all customers requirement in an extremely competitive market, is the perfect machine to match the most demanding market needs with the highest efficiency ratios. This latest estate of the art technology laminator offers a total versatility to cover all kind of applications in the flexible packaging. Enables 3-ply structures, heat seal applications, register coatings like matt or glossy varnishes, cold seal, solvent less laminations and many other possibilities of the market! In this sense, Comexi has developed five different kinds of trolleys: open gravure and enclosed doctor blade chamber gravure, solvent less, flexo gear less and semiflexo that can work with this machine. Thanks to its semiautomatic clamping system, the trolley change over time is extremely fast providing the highest productivity of the market. It never has been easier and faster. Moreover, thanks to the non-stop turret winders and the extremely efficient flat shell-type drying tunnel, this machine enables to make profit out of the most challenging jobs. Test it to the limit, the new Comexi ML1 MC is capable to run the most difficult jobs with great production ratios. The technical characteristics are likely to change according to the chosen setup. Designed with configurable modular units, with tool-less extractable nozzles and outstanding air turbulence. Everything is possible with its coating trolleys. Just switch from one trolley to another by the semi-automatic clamping system. Easy and fast. Gravure trolley: Coating solvent or water based adhesives and lacquers. Offers at register applications. Robust, very easy to assembly, set and clean through its teflon adhesive tray and removal extensors. Solvent less trolley: Coating solvent less adhesives. 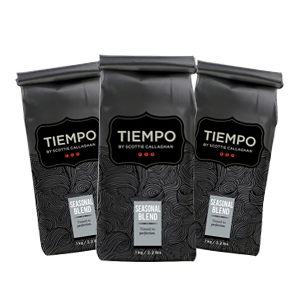 Easy and ultra-fast job change by its sleeve technology. Job changeovers can be done on board in less than 2 minutes. Perfect dosing fine-tuning by main machine screen. Enables fast and easy semi-automatic cleaning with the aid of the fully motorized coating side. Semiflexo trolley: Coating solvent or water based adhesives and lacquers. Coating weights up to 20 gsm, it brings the possibility to apply the widest range of coating weights with no need to change any roller. Flexo trolley: Coating solvent or water based adhesives and lacquers with a flexographic gearless technology. Thanks to Comexi flexo expertise, this trolley enables at register applications with flexo plates. It is equipped with carbon fibre mandrels to avoid bouncing effect. Automatic self-cleaning. Enclosed doctor blade chamber: Coating solvent or water based adhesives and lacquers. Robust, very easy to assembly and set. Gravure cylinder with enclosed doctor blade assembly to reduce evaporation and foaming. Automatic self-cleaning. Its top register control provides the highest accuracy when applying coatings at register. Besides, offers automatic positioning of the motorized linear web guide from the main machine screen and finetuning by a push bottom. Fastest change from front to reverse by a revolver exchange system enabling front to back eye mark registration. Its 3 roller NIP technology helps achieve the best performance in any laminate: perfect optics, reduction of film wrinkles and breakages, absence of curling and evenness of bond strength across the web. Integrates high technical solutions to achieve a perfect lamination with aluminium, even with very thin gauges. Mechanical stopper: avoid breaking of materials and wrinkles by a perfect R5 - impression sleeve pressure control and evenness. Anodized rollers: high resistance rollers. Adjustable rollers: avoid wrinkles and flapping. Pre-conditioning calendar: prepare the aluminium to prevent and avoid wrinkles and quality problems due to thermal shock. Its in-line sensors will measure real coating weight all the time through the entire web. Data will appear on the main machine screen and in all reports. Different alarms can also be associated to the grammage reading to avoid rejections. It will drive the converters daily production to savings in time, waste and money. Fully automatic splice turrets for a continuous production. The turrets are equipped with shifting guides for a web alignment and horizontal cut for a perfect job change at the machine top speed. The perfect tool for plant managers. A system to control it all: production data, peripherical equipment, machine settings, productivity, operator performance and customer orders among other relevant information. This software will save all machines’ parameters at every single meter helping to improve quality control, traceability and have costs much better controlled. Thanks to the Comexi Cloud on-line platform, Comexi customers are able to consult any data everywhere, at any time, including real time production information, historical data and automatic reports and KPI's.